The World Bank data has predicted that the proportion of jobs threatened by automation in India is 69 percent, 77 percent in China and as high as 85 percent in Ethiopia!! Automation and artificial intelligence (AI) are sky- soaring technologies. They contribute to economic growth through their invaluable contributions to productivity! Robots would be capable of carrying out more of the tasks done by humans. This will complement the work that humans do. It will also perform tasks that go way beyond what humans can do. As a result, some occupations will decline, others will grow, and many more will need to change! The automation of hard-core and time-consuming tasks. The augmentation of human capabilities. The increased efficiency to learn and perform human functions. Investments in AI are growing exponentially. Research Firm IDC predicts that the market for AI will grow from $12.5 billion in 2017 to $46 billion by 2020, impacting all business practices across almost every industry! As for Automation, technologies such as advanced robotics and artificial intelligence are powerful drivers of productivity and economic growth which can help create economic surpluses and increase overall societal prosperity! Automation could accelerate the productivity of the global economy by 0.8 to 1.4 percent of the global GDP annually; assuming that human labour is replaced by automation. The estimates show that up to 30% of current work activities could be displaced by 2030! Automation and AI – Advances In Technology! Changing Precision Technology Company in China focuses on the production of mobile phones and increasingly uses automated production lines. A few years ago the factory was run by 650 employees, but now just 60 people are required to complete the job, with robot co-workers responsible for the rest. With AI, machine-learning algorithms have become more sophisticated. These are made use of huge increases in computing power! Analysis and studies show that deployment of artificial neural networks could account for as much as $3.5 trillion to $5.8 trillion in annual value or 40 percent of the value created by all analytics techniques! In combination with technologies such as the Internet of things (IoT), virtual and augmented reality, drones and cloud platforms, AI and robotics stand to become the building blocks of the Industry Revolution in India. Narrow AI (AI focused on a single task) has grown within businesses. Combined with human-AI collaborations, these narrow AI applications are reshaping businesses, sectors, and markets. For example, narrow AI is being used by businesses to drive sales and customer engagement across multiple channels with the use of recommender systems, virtual private assistants, chatbots and intelligent platforms. 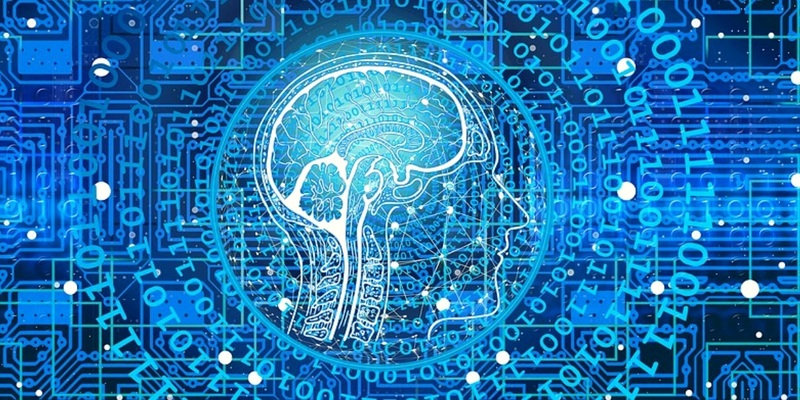 Further, AI is contributing towards higher operational efficiency by enhancing quality control and increasing machine uptime through predictive maintenance and prescriptive actions. As a result, businesses are increasingly evolving their products. AI tools and applications are being embedded in overall digital transformation growth purposes. An International Data Corporation (IDC) forecast estimates that the spending on AI-focused hardware, software and services will reach 58 billion USD by 2021, up from close to 12 billion USD in 2017 and a CAGR of nearly 50% between 2017–2021. Of this, 50% of the spending is expected to arise from software—that is, applications and platforms. This makes rapid strides in economic growth!! Human-robot collaborative ecosystems are on the rise, particularly in sectors such as manufacturing, logistics, and healthcare. In such a collaborative environment, the heavy lifting is done by the robots (or precision operations) with human workers undertaking higher-level jobs such as programming, maintaining and coordinating robotic automation works. For example, Co-bots! Close to the total number, all jobs will be affected by automation, but only about 5 percent of occupations could be fully automated by currently demonstrated technologies! Will AI completely wipe out the entire employment – Myth Busted! According to the recent statistics, The Department of Labor created a dataset called ONET, which includes the descriptions for 964 occupations in the US. Each job has a list that includes around 20 to 32 tasks, with a total of over 18,000 tasks that exist in the economy! A data set was taken and evaluated each skillset to determine which tasks could be done better by AI, and which were performed better by humans. The team found that for plenty of jobs there were always tasks that AI could do better than humans! This shows clearly that robots cannot completely wipe – out employment opportunities. What Are Data Robots? – AI And Machine Learning Data Implementation! Data robots, the branch, study and implementation of which is also called Imitation learning is of immense popularity. This technology has become an integral part of field robotics. Here, domains like construction, agriculture, search and rescue, and military applications are manually programmed robotic solutions. The future of robots and AI in the enterprise isn’t without trouble! In a nutshell, Robots and AI won’t displace job categories wholly, but may help make jobs easier in the future, as more tasks are automated for improved productivity or safety! !